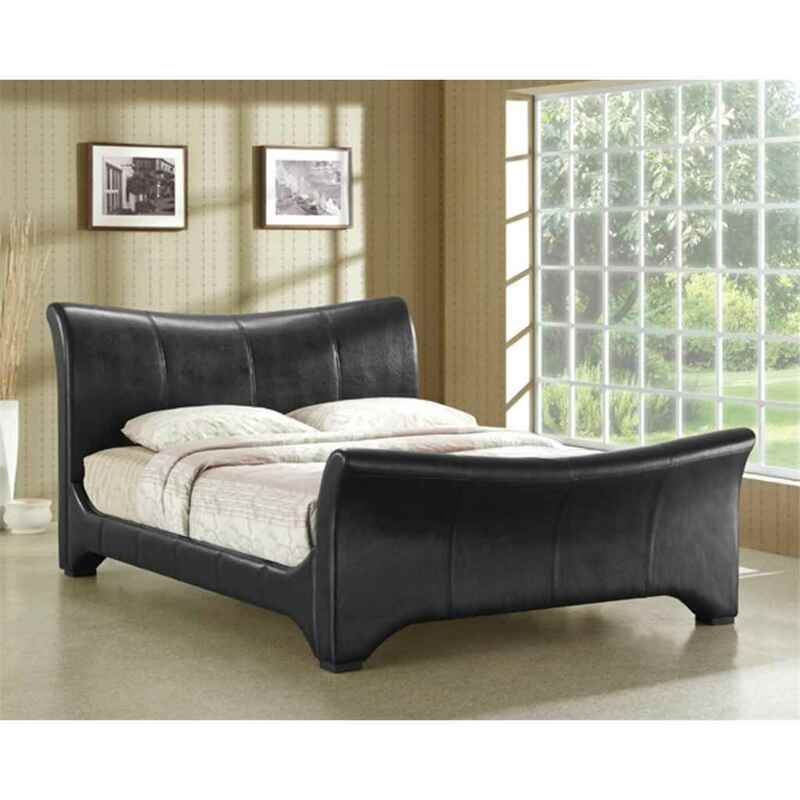 Black Curved Sleigh Faux Leather Bed Frame - Double 4ft 6"
The Wave Black Faux Leather Bed Frame has a streamlined sleigh style design which gives it a unique modernist appearance. The bed is finished with plush black faux leather and has solid wooden feet with a sprung slatted base for extra comfort. The Wave Bed Frame is also available Brown colour and in King, and Super King Sizes.